Are you a swatcher? Do you know why and how to swatch? Do you think it is all a complete waste of time? As a designer, swatching is an early part of the design process, we use the swatch to calculate the numbers for the pattern. We couldn’t start without one. But when the designer has done all that work surely the knitter or crocheter doesn’t really need to do one? Make a large square in the stitch you have been told to work in. To know that it will be large enough to measure you should cast on more than the number of stitches you can expect to get, In this case I would probably start with 24 stitches. Make the swatch in the yarn you plan to use using the hook you plan to use. Work a few more rows than suggested in the tension info, maybe 10 rows in this case. 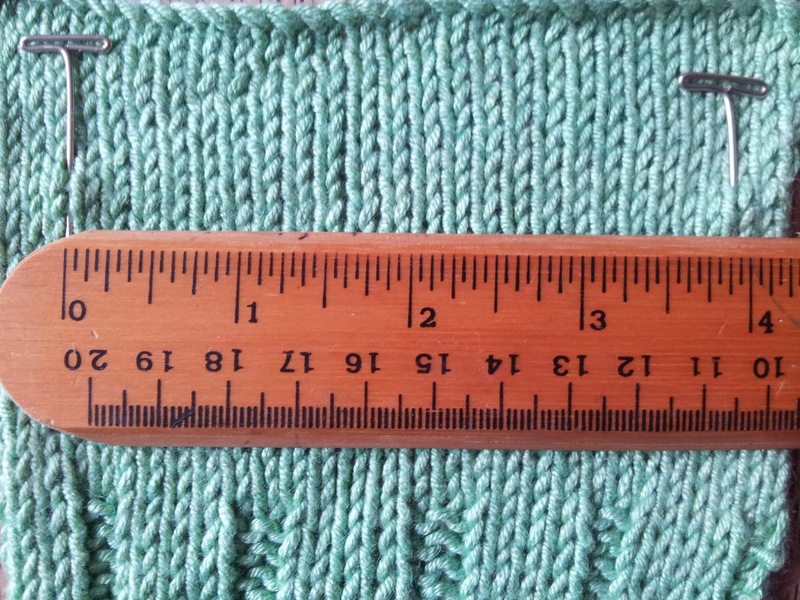 Measure the tension before you block it and keep a note so that you can check your tension while knitting/crocheting. To measure the piece you will need to lay it out flat and count the number of stitches and rows in 4″ or 10cm or the measure you were given. It may help to measure and pin then count between the pins. Wash and dry the piece as you will the finished object. So if it is going through the machine then the dryer do that. If it will be hand washed then dried flat do that. If it will be washed and pinned out to dry (blocked) do that. If it is cotton, silk, linen or bamboo it may help to hang the piece with weights attached (threading a dpn through the bottom is an easy way to do this) as these fibres grow considerably when the weight of the whole piece acts on the stitches. Measure again and compare this measurement to the tension information. 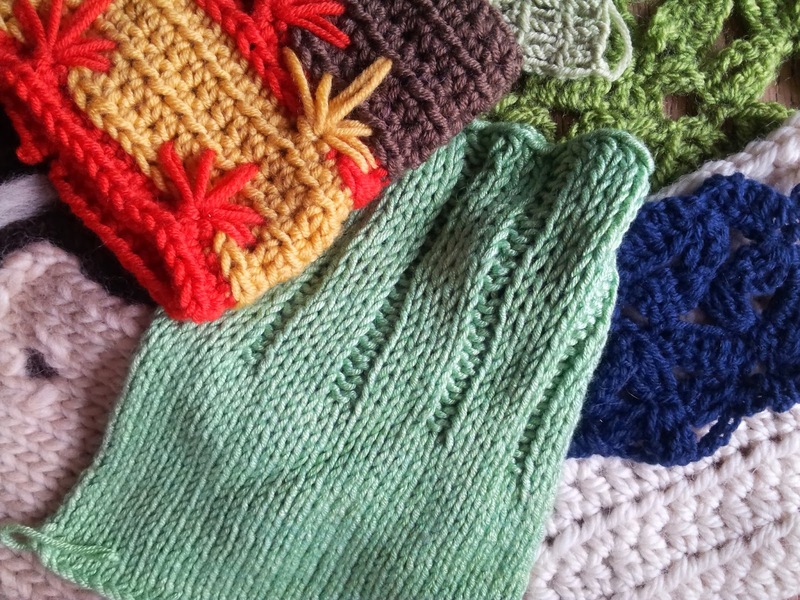 If you have too many stitches/rows your finished object will be too small. Repeat the 4 step process with larger needles. If you have too few stitches/rows your finished object will be too big. Repeat the 4 step process with smaller needles. If you will be working in the round you should work the swatch in the round too. I will cover a few techniques for doing this in a future post. I can get stitch gauge but my row gauge is off, what should I do? If you can only get one spot on then it is normally best to get the stitch gauge right as in most constructions this is where most of the fitting comes in. You may have to adjust the pattern slightly (adding or subtracting rows) to allow for the difference. Well, how much do you want the finished item to fit? Say the tension square said 20 stitches to 4″, your knitting is has 22 stitches and you go ahead and knit the jumper with the 40″ chest. 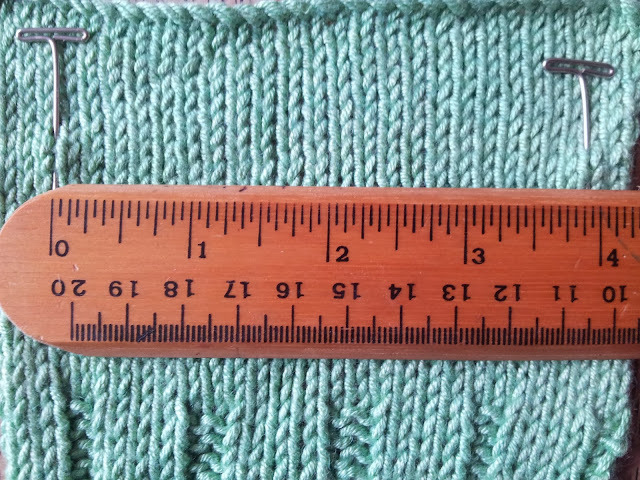 Your jumper finished jumper will have a chest measurement of just over 36″ and you will have to suffer the indignity of finding a skinny friend to give all those hours of work to! Worth spending a little while before starting the project to avoid that fate? I think so! Do I have to start with the suggested needle size? No, it is just a suggestion based on the designers idea of what they used to get that gauge or what they think the average knitter or crocheter will need to get gauge. If you know you hook/knit loosely you might want to try a smaller hook first. I have have average tension anyway so surely I don’t need to swatch? Yes you do! There is no such thing as average tension really and you don’t know that the designer has average tension. I am using the same yarn so I don’t need to swatch do I? Afraid so! No two knitters/crocheters work quite the same so even with the same yarn and same hook/needle two people are unlikely to make the same tension. So when don’t I need to swatch? When the item is very small and quicker to make than the swatch would be. I know my tension varies even within the same project, depending on how long I’ve been stitching during any given session. I like your idea of a dpn as a weight – I hadn’t thought of that, it’s a goodie. I do not…. However I used that bag of swatches you gave me on a very successful yarnbomb thank you!! !